The Delaware City Schools Board of Education approved employment changes, administrative contracts, and a .284-acre easement to the city at its regular board meeting Monday. • A one-year contract with Richard Stranges, the principal at Hayes High School. • A two-year contract with Taryn Fuller, an assistant principal. • A two-year contract with Brittney Johnson, an assistant middle school principal. • A two-year contract with Paula Vertikoff, the principal at Carlisle Elementary School. • A three-year contract with Adonis Bolden, an assistant principal at Hayes. • A three-year contract with Aaron Cook, the director of secondary curriculum & assessment. • A three-year contract with Richard Glesenkamp, an athletic director. • A three-year contract with Laura Hallett, the payroll and benefits supervisor. • A three-year contract with Steven Ringer, an assistant middle school principal. • A three-year contract with Jerry Stewart, the executive director of human and material resources. • A three-year contract with Joseph Uher, the director of elementary curriculum & assessment. The board also approved an easement with the City of Delaware involving land along Pennsylvania Avenue at Dempsey Middle School. 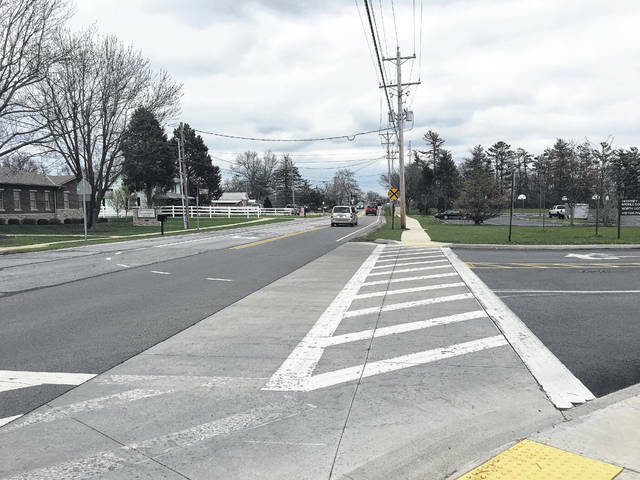 The easement was part of the 2013 bond issue and allowed the school district to widen Pennsylvania Avenue to add a turn lane. The approved easement granted the city about .284 acres of land, school officials report. The board also approved a $3,792 change order with Guenther Mechanical Inc. for additional work needed at Woodward Elementary. Additionally, the board approved the retirements of Michael Golden, a social studies teacher and football coach at Hayes High School; and Lisa Rehark, a fourth-grade teacher at Conger Elementary School. Golden and Rehark will be with the district until May 31. The board then approved the resignations of the following individuals. • Megan Van Dyke, a reading recovery teacher at Carlisle. • Shari Beard, a School Aged Child Care (SACC) program assistant with the district. • Julie Boyce, a SACC program assistant with the district. • Amber Hill, a bus driver with the district. • Deborah Kuhn, a home instructor with the district. • Kristin Larson, a SACC program assistant. • Melinda Lyons, a cook/cashier with this district. • David Swisher, a bus driver with the district. • Vicki Van Gilder, a custodian at Hayes. • Kelly Wolfe, a SACC program assistant. • JoAnna Young, a SACC site manager. The board will convene again in the board meeting room at the Willis Education Center at 6 p.m. on May 7.